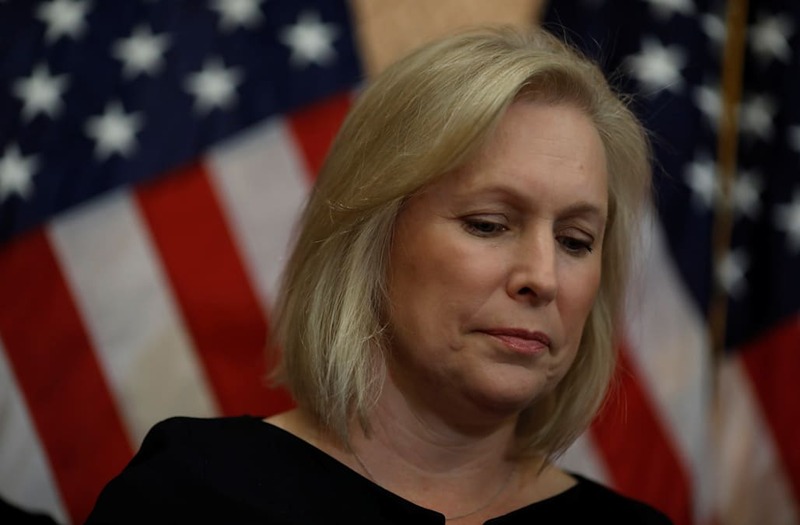 New York Sen. Kirsten Gillibrand told CNN on Monday that President Trump "should resign" over numerous sexual misconduct allegations. In an apparent response, Trump lashed out at the Democratic senator Tuesday morning. "Lightweight Senator Kirsten Gillibrand, a total flunky for Chuck Schumer and someone who would come to my office 'begging' for campaign contributions not so long ago (and would do anything for them), is now in the ring fighting against Trump," the president tweeted. "Very disloyal to Bill & Crooked-USED!" Gillibrand stated in her CNN interview that the allegations against Trump are "credible." "President Trump has committed assault, according to these women, and those are very credible allegations of misconduct and criminal activity, and he should be fully investigated and he should resign," she said. Gillibrand is one of the rising stars in the Democratic party. "Since Trump's inauguration, the junior senator from New York has earned the distinction of being, statistically, the chamber's most anti-Trump member (voting against the president's position 93.7 percent of the time), and her steadfast opposition to Trump's Cabinet picks won her legions of new admirers," according to a September profile piece in Rolling Stone.